Truth be told, I get nervous with sick kids. My perception of their fragility and the stress of the anxious parents shakes my confidence a bit each time I am in those situations. 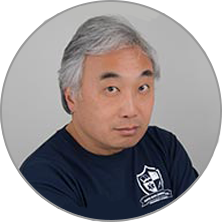 Of these events, perhaps pediatric respiratory distress generates the most amounts of the nerves, mostly because I know how the stability of the child is very dependent on his ability to adequately ventilate. With winter setting in, a review of pediatric respiratory emergencies can help refresh our fundamental knowledge base on these calls. Pediatric airways are smaller than adults, generating greater resistance to normal airflow. With greater proportionate amount of soft tissue in the nose and mouth, coupled with being obligate nose breathers during early development, there is a greater chance of restricting and even occluding the air passageway during an upper airway emergency. Pediatric patients primarily breathe using their diaphragms; there is limited ability to use the intercostal muscles and other accessory muscles during periods of respiratory distress. A child can fatigue quickly and drop into respiratory failure with little warning. The pediatric laryngeal opening is more anterior and cephalad compared to adults. This can make advanced airway procedures more challenging to ALS providers. Moreover, the diameter of the airway narrows very quickly in the cricoid area. Along with a shorter tracheal length, the chances of dislodging an endotracheal tube or intubating the right mainstem bronchus are greater in a pediatric patient. Like adults, children depend on their ability to exchange oxygen and carbon dioxide to survive. However, unlike adults, a child’s cardiovascular collapse is due primarily a respiratory cause or hypoperfusion, rather than a direct cardiac event. For the EMS provider, evaluating the pediatric patient with trouble breathing is a rapid identification of respiratory distress or respiratory failure. Respiratory distress is a compensatory mechanism; the patient may present with tachypnea, accessory muscle use, and nasal flaring. Grunting may be heard, as the patient creates extra pressure at the end of the exhalation phase to help keep the lower airways open. The patient skin signs may be cool, pale and diaphoretic, and tachycardia will be present. In contrast, respiratory failure is a decompensatory mechanism, with respiratory and cardiac arrest being its endpoint. Exhausted, the patient’s breathing slows, the level of consciousness plummets and heart rate drops dramatically. This is a critical situation that must be reversed immediately in the hopes of avoiding a full arrest state. Croup or larygotracheobronchitis is an upper airway disease most commonly caused by various viruses including Influenza A, RSV and parainfluenza Type 1. There is a one to three day history of an upper respiratory illness (URI), including cough and mucous production. A fever develops and the child's voice may become hoarse. Because of the swelling of the soft oral tissues, a brassy, "seal bark" cough may develop, frightening the parents. It is not unusual for an adult to take the child outside or into a shower where the increased humidity can often sooth the inflamed tissue and reduce the cough. Epiglottits is a more serious illness that requires prompt attention and careful management. Caused primarily by the Haemophilus B virus, this infection can rapidly evolve into a life-threatening condition within a few hours. A fever develops, followed by increasing lethargy, and difficulty breathing. Because the airway is essentially swelling shut, the child cannot swallow without a lot of pain and difficulty. As a result, the patient will want to sit up and lean his head forward into a sniffing position, in order to maximize the passageway. Drooling and stridor will likely be evident. Because of immunization efforts, cases of epiglottitis have decreased nationwide; however the condition still exists and is also seen with adults as well. Acute Respiratory Distress Syndrome (ARDS) is a diffuse condition of the lungs that is quite serious. The event may begin with a condition that causes stress on the body, such as an infection or shock. While the exact mechanism is not clear, a series of triggering mechanisms causes the lung tissue to begin to swell due to fluid loss through the capillary-alveolar membranes. The child becomes quickly tachypneic and dyspneic. Crackles may be auscultated throughout the lung fields, along with wheezing. This condition is very difficult to manage, and the mortality rate can be 10-40% or higher . Bronchitis, as the name indicates, is the inflammation of the bronchioles. This is usually caused by a viral infection, such as influenza or respiratory syncytial virus (RSV). URI symptoms are usually present, and the patient usually present with a cough which may or may not be productive. As with other infections, fever will be present. Asthma is an episodic reactive airway disease, meaning that when not under stress, the lungs show little signs of the disease. When an attack occurs, several events happen; the bronchioles constrict due to smooth muscle activation. As they constrict, air becomes trapped, causing the child to exhale with greater force than normal. This results in an extended, or prolonged expiratory phase during breathing. If the condition is not relieved, the mucosal membranes of the bronchioles begin to swell and fluid may be released, worsening the constriction. 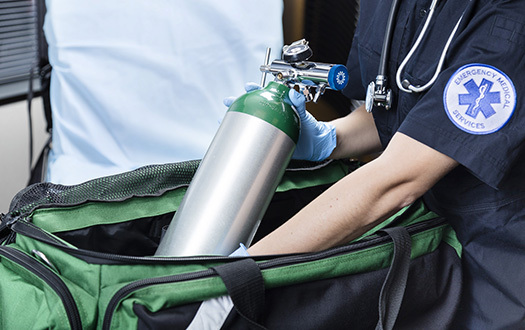 The patient may have a rescue inhaler to help with the bronchospasm, as well as a corticosteroid inhaler to help mediate the potential for swelling on a continuous basis. As an asthma attack begins, the patient may present with intermittent or continuous coughing as an effort to keep the bronchioles open. Tachypnea sets in, and the patient will find it harder to exhale. Intercostal muscle use and pursed lips are signs that the patient is working harder to move air in and out of the lungs. A child with breathing difficulty requires a rapid, accurate assessment that is focused initially on the patient's appearance, work of breathing, and skin color and condition. Often this is done at a short distance away for the patient, to give him the chance to acclimate to a stranger's presence. If the child is sitting upright and trying not to move very much may have a significant issue with the upper airway. A young child who is not clinging to a parent, not crying vigorously and not showing other signs of being engaged with his environment is seriously ill until proven otherwise. Quickly assess for the use of any accessory muscles, and for how deep and fast the child is breathing. As soon as you can establish trust with the child, auscultate the lung fields for the presence of normal air movement, or wheezes and/or crackles. Move the small bell of your stethoscope to the later sides of the neck to detect any evidence of stridor. If possible, use pulse oximetry and end tidal capnography for adequate signs of oxygenation and air exchange. Establish a full set of baseline vital signs, using appropriate sized equipment such blood pressure cuffs. Ascertain a quick history from the parent or guardian, paying attention to symptoms of a fever or flu-like symptoms. A reported history of a rapidly deteriorating condition is an ominous finding. Determine if the patient is taking any prescribed or over the counter (OTC) medications, and if there are any allergies to medications. Examine the body for signs of trauma, swelling, pain or tenderness. Ensure that the child's airway is open and patent. If necessary, position the patient's head and neck as to achieve a neutral, or "neutral plus" position. Padding the shoulders with a small towel or blanket can help. Consider ventilation and oxygenation options carefully. Positive pressure ventilation is a difficult skill, yet may be life saving for the child in respiratory failure. If in doubt, begin basic breathing intervention with a bag valve mask (BVM) and high flow oxygen. If the child vigorously fights with the intervention, change to a nonrebreather (NRB) mask. The NRB may need to held near the child’s face in order to provide blow by oxygen and reduce the child’s fear. Having the cooperative parent hold the mask may also help with the child's anxiety. Humidifying the oxygen can help soothe irritated soft tissues, reducing some pain and relieving distress. ALS providers may provide a beta-2 agonist such as albuterol or a combination medication such as atrovent to dilate bronchioles and improve airflow. 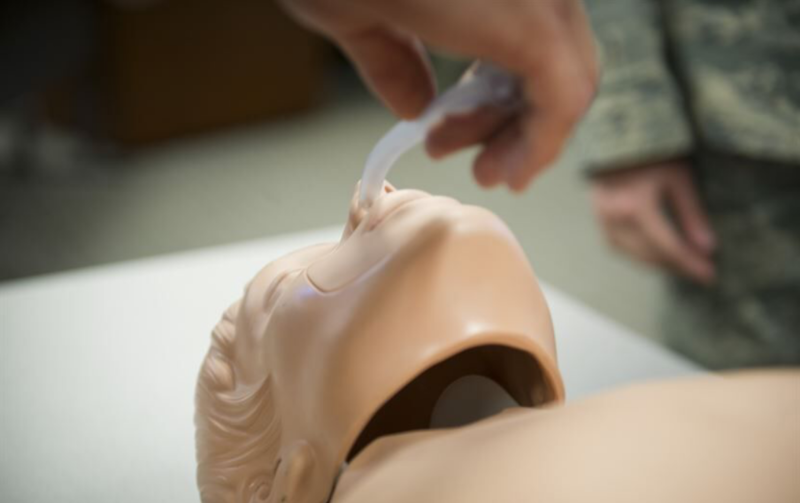 In dire circumstances, an advanced airway such as endotracheal intubation or cricothyrotomy may be required to prevent complete closure of the upper airway. ALS providers must train continuously in these procedures to maximize the chance of success in these extreme circumstances. Transport of pediatric patients is essential, even those with mild signs of distress. A child in severe respiratory distress is a nerve-wracking call for many EMS providers. It is essential to maintain composure and quickly establish trust with the child and parents so a full assessment can be made. Rapidly considering the underlying cause of the distress, and selecting an effective treatment will provide the best possible care for the child. 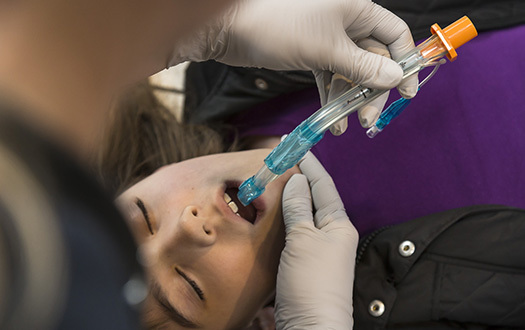 Continued training and education on indentifying the specific differences between adult and pediatric patients is crucial to improve pediatric care. 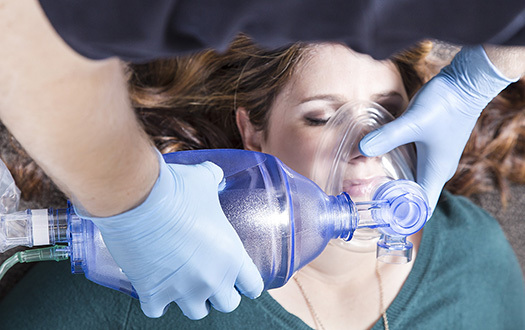 Continuous Positive Airway Pressure, or CPAP, has become the standard in prehospital, non-invasive treatment of respiratory distress.